This beautiful 14k solid white gold cross pendant is reminiscent of the crown of thorns our Lord had to suffer before his death and resurrection into eternal life. Cross measures approx. 1 1/6" tall x 3/4" wide. With hoop/bail combination, the cross pendant measures approx. 1 5/16" tall. 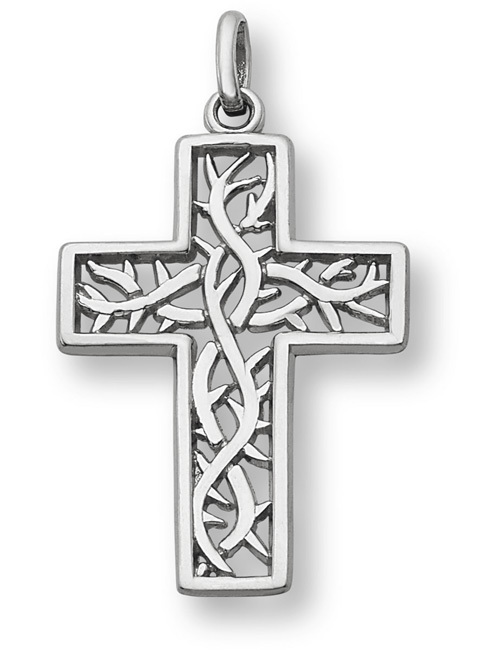 A unique and high quality 14k white gold cross pendant. We guarantee our Crown of Thorns Cross Pendant, 14K White Gold to be high quality, authentic jewelry, as described above.